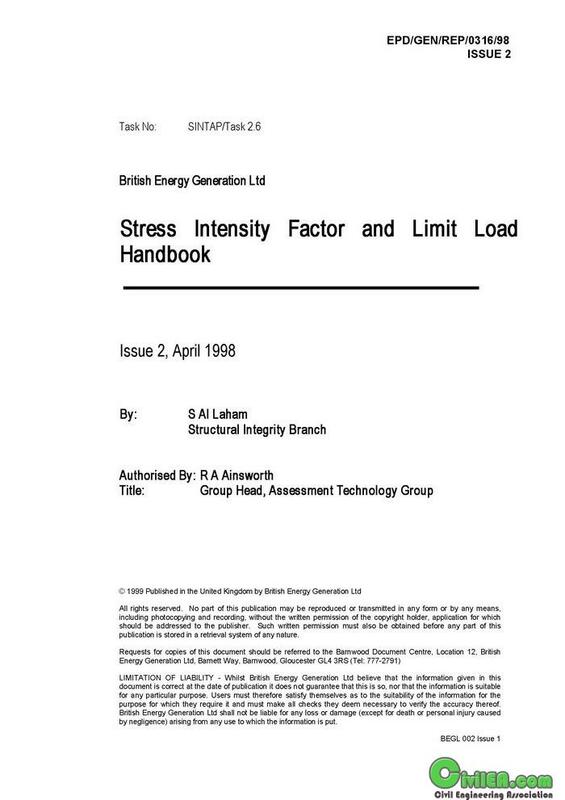 This report provides a collation of stress intensity factor and limit load solutions for defective components. It includes the Stress Intensity Factor (SIFs) in the R6 Code software and in other computer programs, which have not previously been contained in a single source reference. This document has been produced as part of the BRITE-URAM project SINTAP which aims to develop a defect assessment approach for the European Community. Most of the solutions presented in this document were collated from industry and establishments in the UK (Nuclear Electric Ltd, Magnox Electric Plc and HSE), Sweden (SAQ Kontroll AB) and Germany (Fraunhofer IWM, and GKSS). The solutions are compared to standard solutions published elsewhere and to those in the American Petroleum Institute document API 579. In this second issue, the quality of the figures has been improved, minor typographical errors found in the previous issue have been corrected, and comments from partners in SINTAP have been addressed.